Laptops have a built-in keyboard that serves as an input device. Many laptop keyboards are shorter than standard desktop ones because they do not have the numeric pad. Some users get used to and demonstrate higher productivity with standard size keyboards. Such a keyboard is to be connected to a laptop via a USB (Universal Serial Bus) port. The connection of the external keyboard does not disable the laptop's one and they can be use simultaneously. Select an available USB port on your laptop. 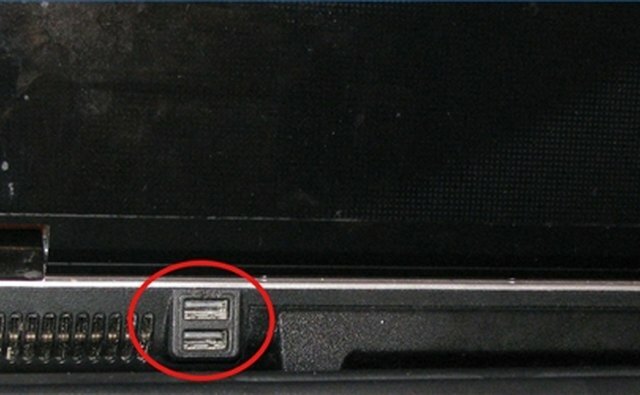 Note that laptops typically have several USB ports located on the front, back and side panels. Choose the port that would make your work the most comfortable. Insert a USB keyboard connector into the laptop USB port. Insert a CD with keyboard drivers in the CD/DVD drive. Follow the onscreen instructions to install drivers to achieve the proper functionality of your external keyboard. "Laptops For Dummies," Dan Gookin, September 2008.